Quick and easy to read. I ended up staying up late to finish it because I had to know who did it. It switches between the present and main character Tessa's therapy sessions directly after the attack when she was younger. With the therapy sessions it slowly reveals what happened to Tessa after the attack and when she had to testify in court, but because she has lost her memory we don't find out much about the abduction itself. I liked the way it did this because it kept a sense of mystery. Right up until the end secrets were still being revealed and it kept me guessing up to the end. I didn't get much of a sense of Tessa's personality. The younger Tessa is much more vivid and real than older Tessa, and I think this was maybe intentional. Older Tessa is quiet and reserved, her daughter Charlie does bring some life to the story, but I found it hard to care about any of the characters. It doesn't help that I read Final Girls recently that has a very similar storyline. I might have been more impressed with Black Eyed Susans if I'd read it first. 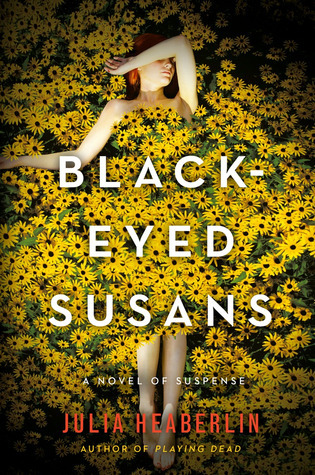 Sign into Goodreads to see if any of your friends have read Black-Eyed Susans.